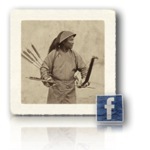 The site for articles on all aspects of historical Manchu archery. For years I put heart and soul into this site, writing articles in weekends and after office hours. Since 2016 I quit my day job to dedicate myself full-time to antique arms at www.mandarinmansion.com. Most of my more recent writing is done there now, but I haven't forgotten about the subject yet! Big News! Debtelin 2 is out! Themed "Manchu Archery", I acted as a guest editor for this publication. Together with a team of over 20 translators we dug into the literature of Manchu archery, producing various translations to English which reveal Manchu archery as seen from the eyes of the culture itself. Click the link below to see the full table of contents. For a complete overview of all articles in chronological order see the full list of publications.